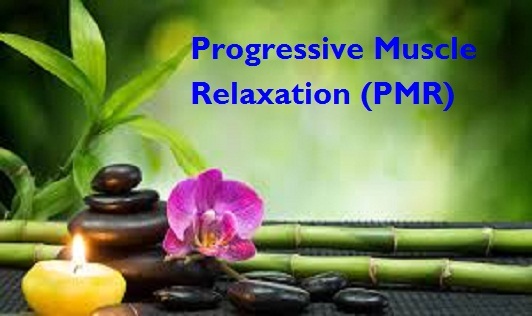 Over the years, PMR or Progressive Muscle Relaxation has come to become one the most easily learned and most widely-used procedures for combating anxiety and tension, and achieving instant mental calmness. The quick two-step relaxation procedure developed by Dr. Edmund Jacobson in 1939 involves tensing and relaxing the muscles to induce a deep state of relaxation. Using this technique not only helps you relax, but also fosters a healthy mind in the long run. PMR can be practiced on a daily basis. Even practicing for as less as 20 minutes has proven to yield beneficial results. In fact, the technique not only helps you relax, but also fosters a healthy mind in the long run. PMR is typically advised for people with severe anxiety issues. Individuals facing stress in their everyday life and workplace can also benefit from this. Moreover, practicing PMR even in the absence of such issues can also provide lasting benefits. Along with fostering a healthy mind, PMR also promotes good physical health. PMR helps identify the sensations you face, thereby helping to identify the times and the situations that cause stress or anxiety. It also promotes a healthy sleep cycle, thus keeping insomnia in check. An indirect, positive effect of practicing PMR is that it regulates blood pressure, as regular practice decreases stress and anxiety. It lowers the cortisol levels in the body and increases dopamine levels, which promotes a happy mind. Reduced stress, reduced anxiety, and a regular sleep cycle means better concentration which in turn facilitates better memory. Stress is believed to be detrimental to the neurons in the brain. With PMR and reduced levels of stress, it is possible to boost the neural connections necessary for making and storing new memories, and also, preserving the old memories. Lastly, it is important to remember that PMR should not be practiced when you’re feeling low or sad. Also, it is essential to practice PMR in a quiet place, free of distractions, whether at home or in a clinic. Comfortable clothing goes hand in hand with better and faster relaxation. Consumption of alcohol, or use of any substance before or after practicing PMR can also prove harmful. Eating right before starting the session should be avoided. Many mental health practitioners administer PMR. PMR can also be practiced at home, but it is always better to consult a professional before trying anything by yourself.